In spite of the cool weather, my warm weather crops are ripening in the greenhouse. I’m not getting huge volumes, but enough to make a few dishes here and there. 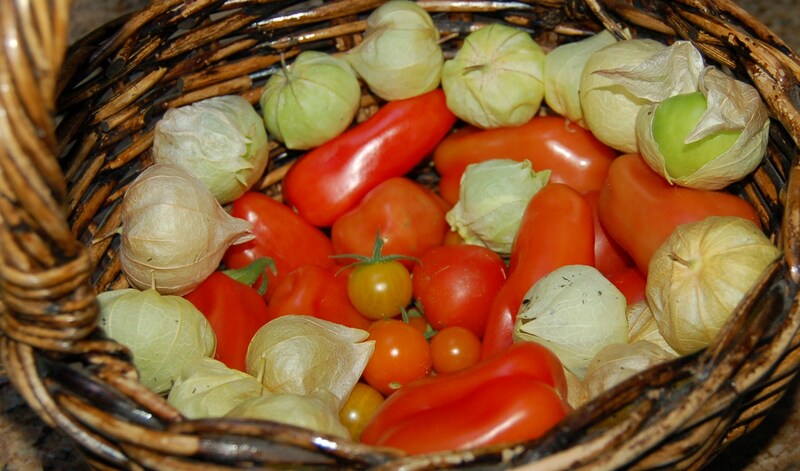 Recently, I harvested some tomatoes, tomatillos, and peppers. I used a few tomatoes to make a nice bruschetta today. Tomorrow, I’ll use some more tomatoes and the tomatillos to make a salsa. The peppers I have been eating raw, although I would like to find a good roasted red pepper recipe for canning. See how pretty everything is? Happy eating! Oh, and let me know if you have a good roasted red pepper recipe for canning! 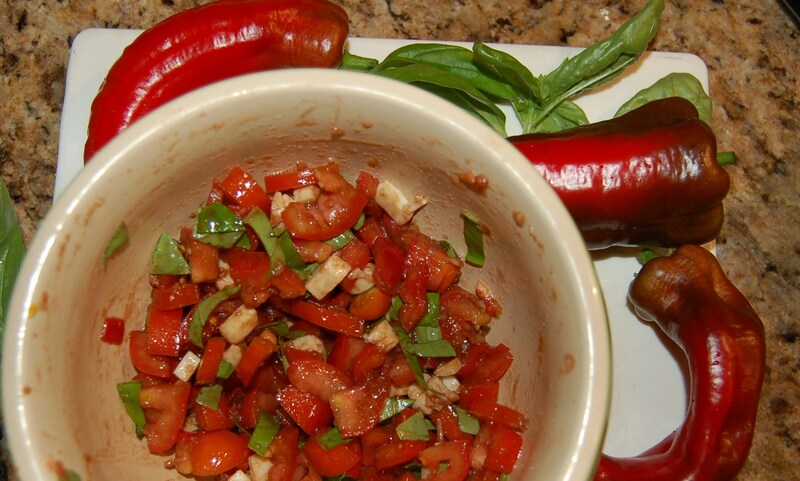 This entry was posted in Cooking & food preservation, Gardening and tagged bruschetta, peppers, tomatillos, tomatoes. Bookmark the permalink. Very pretty! I am getting some odds and end ripe tomatoes too and the cukes and peppers are still hanging in there. I am hoping to stretch the tomato fresh harvest out as long as I can since we did not get any quantity this year.